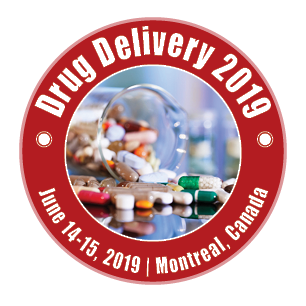 Pharmaceutical Nanotechnology for Drug Delivery using Nanotechnology session plays major role in the future of pharmaceutical research. In this session, we will go over several of the most important features of nanotechnology, anticancer drug development , pharmocology of cancer drugs, that will impact our lives but we will also talk about what nanotechnology itself will be like in the future and Investigator specifically from cancer therapy. Interestingly pharmaceutical sciences are using nanoparticles to reduce toxicity and side effects of drugs and up to recently did not realize that carrier systems themselves may impose risks to the patient. Nano technology session includes drug delivery using nanotechnology, Pharmaceutical technology, Nanoparticles permeability to BBB, Cancer drug targets, Nanoparticles application, Pancreatic Cancer, Nanoliposome-mediated delivery, MicroRNA therapeutics, recent breakthroughs in nanoparticle design to demonstrate their high potential as multifunctional drug delivery nanocarrier, Carriers for nanotechnology, various nanostructures, magnetic nanoparticles. In this review Polymer Nanotechnology for Drug Delivery, Nano composite materials, to deliver highly efficient therapeutic compounds to patient a future aspect of Nanotechnology has a vast future ahead of it and we are constantly making breakthroughs in this industry every day.